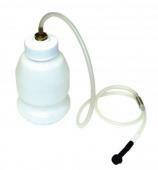 Sealey Brake Bleeder Set with Container • Composite collection bottle with magnetic locating pad. 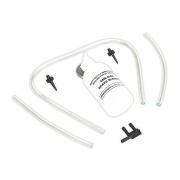 • Supplied with tube and connectors. Essential tool for retracting the brake piston to allow insertion of new brake pads. Suitable for most front and rear motorcycle brake calipers. 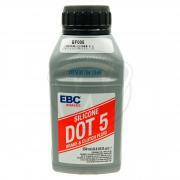 250ml EBC DOT5 Silicone Based Brake Fluid. Must Not Be Mixed With Mineral Brake Fluids. Please Refer To Your Motorcycle Owners Manual / Maintinence Book. 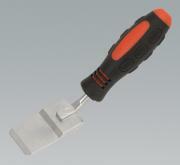 Wedge shaped tool ideal for expanding the gap between brake pads to speed up pad replacement. 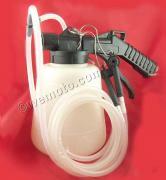 Features moulded rubber handle enabling extra grip. 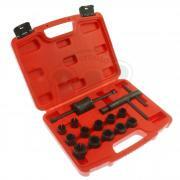 Extract seized brake caliper pistons without risk of damage to outer face of piston. Fast and simple operation. Clamp screw allows pliers to be fixed into cup of piston for added pulling power.